How to apply the default install.wim of Windows to C:\ with SCCM. Perfectly work with SCCM 2012-2016 and all supported windows (Clients and Servers). 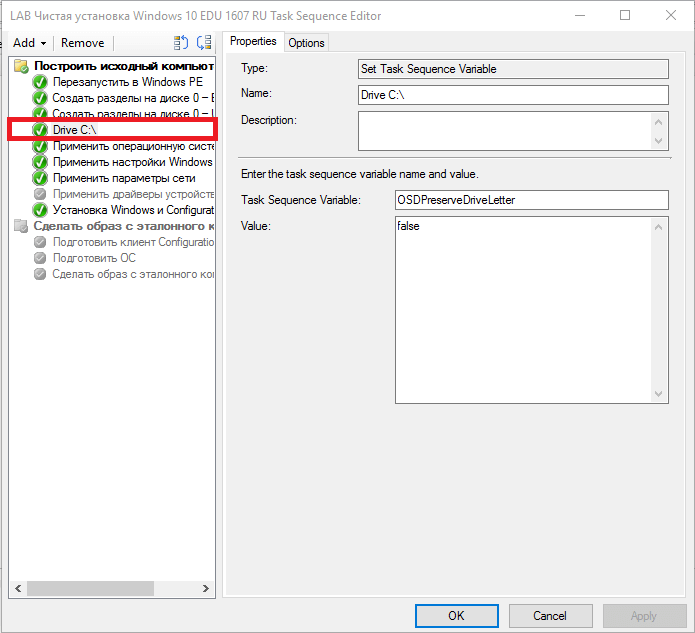 Open a task sequence, to deploy Windows, in the Task Sequence Editor. Fill in as Task Sequence Variable OSDPreserveDriveLetter and as Value “False“.